Owning less to have more is a phrase many of us are beginning to identify with in reference to recognizing the importance of valuing ones time over their possessions, especially when it relates to the pressures of today’s society, determining success in the form of the size of your home. Even though interest rates are still at an all time low the mortgage on a home costing $300,000 can take a lifetime to pay off! It’s a rarity to talk to someone these days that actually owns their home outright, but rather that their home owns them! 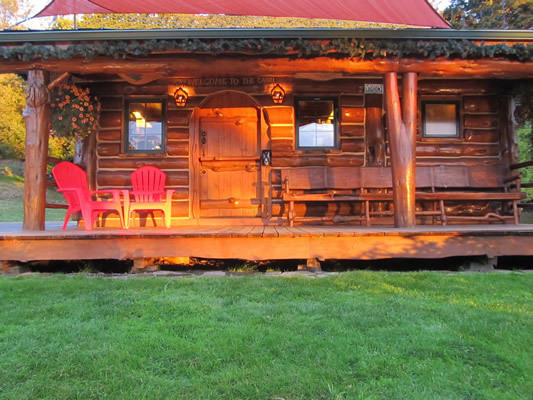 Ben Sciacca founded Cascade Country Cabins in 1985 and has been building beautiful log homes for many satisfied clients ever since! (click here to see reviews) However, his life prior to that was a much different story. Upon completing three years military duty in Berlin Germany, he decided to take advantage of spending some time checking out the European countryside… on a bicycle. For a period of three months and covering almost three thousand miles the idea of surviving on basic essentials that could be carried in his saddle bags began to excite him for more continued adventures upon returning home to the states. And can’t help but communicate. Think of all we’d miss. It was then in the mid 70’s that he began his career in the construction field. His father, a master carpenter agreed to help feed his passion for travel by helping convert a Dodge van into a home on wheels allowing him the opportunity to work the construction circuit around the countryside. Living this early “Tiny Lifestyle” for another three plus years he decided it was time to buy some property and settle down. With an ongoing passion for staying true to the simple lifestyle to which he had grown accustomed, he built his first log and stone home while living off the grid. The current Tiny House movement brings back fond memories of my past that I can personally identify with. I’m excited to introduce my own special touches, incorporating key components that will set a Tiny Home built by Cascade Country Cabins apart from the rest! © 2019 Cascade Country Cabins.